HOBART GRAHAM “Buddy” Passed away peacefully in hospital on Friday, March 15th, 2019, aged 83 years. Loving husband of Margaret, father to Jackie and Kevin, father-in-law to Ivan, beloved grandad to Danielle and Natalie, Stuart and Steve and great-grandad to George. Funeral service to take place at St Faith's Crematorium on Wednesday, April 3rd at 2.45 pm. Family flowers only. Donations, if desired, to British Heart Foundation, may be sent c/o Gordon Barber, Church Lane, Eaton, NR4 6NZ. It is with sadness that I have to report the death of Graham Hobart. Graham was a great servant to bowls in Norfolk at both Club & County level and served as Secretary of the Norfolk County (EBA) Association from 1997 to 2005 and President in 2001. Funeral details will be circulated when known. The next Clubs Meeting will be held on Sunday 7th April 2019 at County Arts BC starting at 9.30am. The meeting is an informal affair and gives Clubs & members the opportunity to raise matters with County Officers & the County Management Committee & should you have any matter that you wish to be raised then please contact your Club Secretary. An Agenda will be issued in due course. Immediately following the Clubs Meeting, a Special General Meeting of the County League will be held to consider a proposal from Connaught BC to change the League Rules of Play concerning player eligibility & the movement of players between teams. Notice of this Meeting together with the Agenda & other paperwork has been sent to all Club Secretaries. The HANSELLS LEAGUE ANNUAL MEETING will take place on SUNDAY 9th DECEMBER 2018 immediately following the MEN’S AGM at the COUNTY ARTS BOWLS CLUB. It is with sadness that I have to report the death of Tom Hall, our President in 2006 and also President of the Eastern Counties Bowling Association in 2014. Tom was a great character and servant to bowls in Norfolk & will be sadly missed. The MEN’S ANNUAL MEETING of the NORFOLK BOWLS ASSOCIATION will take place on SUNDAY 9th DECEMBER 2018 at 9.30am at the COUNTY ARTS BOWLS CLUB. Following the selection & interview process for the vacant Manager positions after Brian Taylor’s decision to stand down as Middleton Manager I am pleased to announce that Mark Turner of County Arts BC has been appointed for a 3 year period as Manager of both senior & junior teams. Mark’s responsibilities will cover the Middleton Cup, Eastern Counties League, Balcomb Trophy & White Rose Trophy teams and he will be helped by four assistants and Team Captains who will be appointed in due course. The Selection Panel & Management Committee have asked me to record thanks to the applicants to the position for their interest & enthusiasm and I am sure you will join me in congratulating Mark on his appointment and wish him well in his endeavours to bring more success to the County. Ryan Garman of Freethorpe has been selected as reserve for the Bowls England Academy for 2019 joining Nicole Moseley who has also been selected and please see the following press release from Bowls England for details of those selected & what the Academy entails. Bowls England is delighted to announce that the following players have been invited to attend its Academy on Saturday 25th and Sunday 26th May 2019. During the weekend, the players will participate in theoretical and practical sessions, all of which are designed to support them on their pathway towards future international recognition. Norfolk BC just missed out on the Bowls England National Top Club title on Sunday when they lost to defending Champions Kings BC from Devon who by lifting the title completed a hat-trick of wins. In the quarter final Norfolk BC overcame VCD from Kent 4-1 and then in the semi-final beat West Ealing from Middlesex 5-0. The 35th annual John Woodcock Memorial Trophy tournament was held at County Arts with the a rink from the host Club, Clive Derry, Danny Ramsbottom, Peter Wilkinson & Philip Barr lifting the title by beating Ryan Garman, Philip Parsons, George Tubby & Phil Emmerson 11-3 in the final. In the semi-finals Barr’s rink beat David Smith’s rink 10-3 whist Emmerson overcame Barney Wymer 14-2. Once again the tournament was played to in support of ‘Big C’ and a total of over £900 was raised. Central Division Two champions Ashill added cup success to Norfolk League triumph as they crowned a fabulous campaign by lifting the Hansells Cup – the final piece of domestic silverware in a glorious Norfolk Bowls Association summer season. Claiming a 14 shot victory over South Two Division title winners Long Stratton, was a “twin-hat” moment to savour for Ashill captain & president Alan Willer, who is currently President of the Men’s Section of the Norfolk Bowls Association. Willer praised the level of camaraderie at the event, hosted on Wymondham Dell Bowls Club’s superb green. Earlier in the day, the competition’s semi-finals saw Ashill beat North Walsham B 62-51, while Long Stratton beat Castle Acre Coronation 65-47. The Hansells Cup is completed for by the winners of each of the Norfolk league’s Zone Two winners. “Thank you so much to Hansells Solicitors for their continued support of the Norfolk Bowls Association,” said Willer. With Willer on playing duties, the honour of presenting the award fell to the Association’s junior vice-president Denis West, alongside Paul Dickson, representing Hansells Solicitors and Financial Advisers. Please see the following Bowls England press release regarding the recent Junior International Series held at the Belmont BC in Belfast. Freethorpe’s Dan Seabourne was a member of the England Team, for the 4th successive year, and his rink returned 100% winning scorecards in what ended in disappointed as England finished in 2nd place behind Scotland. England’s Junior Men were unable to add to the successes of the Senior Women’s and Junior Women’s Teams earlier in the season, as Scotland retained the Men’s Junior International Series this weekend in Belfast, Ireland. England opened up the weekend with a convincing 146-97 over Wales, whilst Scotland recorded an equally convincing victory over Ireland. On Saturday afternoon, England always trailed holders Scotland and eventually succumbed to a narrow eight shot defeat. In the final matches of the Series, England needed to secure victory over Ireland and were relying on Wales to upset Scotland; which for the majority of the morning this outcome looked likely. A 129-100 victory for England against Ireland gave England a chance of regaining the title, however Scotland recovered from a 20-shot deficit to collect three shots on the final end of the match in order to defeat Wales by just one shot (128-127), and retain the Series. The England rinks of Tom McGuinness, Liam Harris, Jordan Philpott and Nathan Kitchen, and Dan Seabourne, Lee Calver, Sam Moss and Charlie Souter both secured 100% winning scorecards from their three matches. Downham Market’s Harry Cater has been selected to represent England in the third Under 18 Test Series against Wales at Dinas Powis BC, on Saturday 15th and Sunday 16th September 2018. The match has been organised as part of Bowls England’s continuing commitment to increase opportunities for younger players to participate in the sport. Players will take part in a number of disciplines and various formats over the course of the two days. Players were selected using various criteria including the Bowls England Academy, performances at both county and national level during 2018, including the Sutton Winson Trophy. Mills opened with a comfortable 21-7 first round victory over Kurt Murray from Dorset and then followed this up with narrow 21-19 win over Bedfordshire’s Chris Beard and then 21-15 over Tom Newman of Wiltshire to reach the second day of the competition and the quarter final. In the quarter final Mills met Hampshire’s Danny Smith and a 21-14 victory put him into the semi-final against local rivals Suffolk represented by Lee Calver where a convincing 21-8 victory secured a place in the final against Lancashire’s Anthony Booth-Young. In the final Mills trailed 4-9 in the early exchanges, before a really good period of play saw him lead 16-12. Booth-Young then fought back and regained the lead at 18-17, before Mills picked up a full count of four to secure a 21-18 victory. The victory is Norfolk’s first success in this event for a decade and by lifting the title Mills joins Norfolk’s previous winners, Jamie Chestney of Hunstanton in 2009, Ian Daines of Wymondham Dell in 1990 & Ian Grady of Gaywood Park in 1982 and will now go on to represent England in the 2019 British Isle Championships. Norfolk completed their Eastern Counties League programme with victory over Suffolk at Diss on Saturday, winning by 120 shots to 114 and taking 15 points. The results mean Norfolk finished in third place in the table with 3 wins and 3 losses and with the title going to Hertfordshire who won all their matches. For the match against Suffolk, manager Brian Taylor in his final match in this role before he stands down gave debuts to several players and it was fitting that for his last match, the team recorded a well-deserved victory. Rinks wins were achieved by those skipped by Barney Wymer & George Tubby whilst John Ottaway’s rink drew. Caister are the 2018 Hansells League champions following the play-off semi-finals & finals played at Thorpe Rec BC on Sunday. By doing so they lifted the WP Baker Cup and are promoted to the Premier League next season were they will replace relegated Acle St Edmunds. Their semi -final victory owed much to the rink skipped by team captain David Lamb whose 27 shot win more than covered defeats on Caister’s other two rinks and Caister progressed to final with a six shot victory. The other semi-final saw Fakenham Town, who had reached the semi-final by winning all their group games, meet Diss & District. Diss proved too strong and with victories on all three rinks won by 26 shots to reach the final. The final was a close affair through the first half of the match but Caister took control over the second half, finally winning on all three rinks, with Barney Wymer’s rink leading the way with a ten shot victory to see his team home with a 14 shot overall victory and the league title. In the Lord Fermoy Cup RG Carter Group BC took the title for only the second time in their history by beating Wymondham Dell 42-31 in the final. Carters won on both rinks & for John Hunter it was particularly satisfying as he was a member of the Carters team when they lifted the title in 1984 a year when they also did the double by also winning the Bales Cup. Freethorpe’s George Tubby lifted two titles at the Norfolk Bowls Association Championships held at County Arts BC over the weekend. In the prestigious singles Tubby won the title for the third time when he beat John Ottaway from Wymondham Dell 21-20, having to withstand a comeback from the Dell player who at one stage was 14-5 in arrears but Tubby held firm to take the title on a thrilling last end. Earlier in the day Tubby partnering Dan Seabourne in Pairs proved too strong for the Norfolk BC’s John Watson & Steve Wells running out comfortable winners by 24 shots to 15. In his third final there was however disappointment for Tubby in the two bowl singles where the host club’s Peter Wilkinson took the title 17 - 11. Having fallen seven shots behind, Tubby staged a comeback to within one shot but Wilkinson then held firm to take the title. The triples was won by Wymondham Dell’s experienced combination of David Naunton, John George & John Ottaway who took the title for the second time in four years when the beat John Tufts, Richard Summers & Wayne Willgress 16-13. The Dell trio started well but Willgress then hit back to level the scores but it was the Dell that prevailed over the closing ends. Dan Mills of County Arts took the Junior singles title out-bowling Norfolk BC’s James Segolo to win 21-7. County Arts, skipped by Brian Taylor took the Seniors Four title against Barney Wymer’s rink from Caister 23-17. Taylor’s rink led from the early stages & although the Caister rink battled hard it was the Arts who lifted the title. In the Lord Fermoy Cup double rink championship, the final will be between Wymondham Dell & RG Carter Group BC and will be played on home & away basis on Thursday 2nd August. RG Carters will be looking for the first title since 1984 whilst the Dell last lifted the title in 2006. In the semi -finals Carters beat Norfolk BC whilst the Dell overcame Downham Market. The Hansells County League is now reaching its conclusion with the final round of matches being played on Wednesday. Norfolk BC has retained the Premier League title and has now won the title for the past seven seasons. Relegation is a fight between Acle St Edmunds & Wootton Park with Wootton Park holding a 3 point advantage. The winners of the five regional zones play of for the WP Baker Cup and a place in the Premier League. Fakenham Town have already won the North Zone title, Diss & District that for South and Hunstanton in West. The other zone winners depend on the results of the last round of matches. In East zone the title rests between Caister & Martham with Caister favourites with a lead of 4 points but in Central it is a much closer affair with GW Staniforth, Hingham Rectory & Northwold separated by only 2 points and Mundford also in contention. The winners of the West & East zones play in the preliminary play off at Aldiss Park on Wednesday 8th August with the semi-finals & final at Thorpe Rec BC on Sunday 12th August. I am delighted to announce that Denis West of Aldiss Park BC has been appointed Men’s Junior President & now joins Alan Willer & John Mason as part of our “presidential team” and I am sure you will join me in congratulating Denis on his appointment. Norfolk’s Middleton Cup dreams ended on Saturday when they lost to Leicestershire in the quarter final at Brampton Institute BC by 7 shots. The County went into the match with high hopes following their 100% record in the group games and after a tentative start found themselves 9 shots behind at the halfway stage. From that point they seemingly took control opening a 6 shot lead at 15 ends and then moved further ahead but a surge from Leicestershire over the closing ends took them back into the lead, which they held to run out winners. Rink honours were shared three apiece with Norfolk’s wins coming from the rinks skipped by George Tubby, Peter Boldero and Wayne Willgress. It was a disappointing end to Brian Taylor’s 14 year tenure as Team Manager which saw the County lift the title on two occasions as well as being runners up twice. After a couple of disappointing years since Norfolk’s last semi-final appearance the future of the County looks bright with the new Manager, when appointed, hopefully being able to build on this seasons performances. The majority of the County Championship semi-finals have now been completed. The blue riband singles final will be between Freethorpe’s George Tubby and 10 times previous winner John Ottaway of Wymondham Dell and is a repeat of 2009 final where Tubby prevailed. In the semi-final Ottaway had a relatively straightforward victory over Peter Wilkinson of County Arts whilst the other tie was a much closer affair with Tubby finally over overcoming Downham Market’s Peter Chestney. In the Junior Singles James Segolo of Norfolk BC will be looking to emulate his twin brother Tom by lifting the County title following a semi-final victory over Aaron Stimson of Diss. In the final he will play Dan Mill’s from County Arts who beat Aaron Johnson of Norfolk BC. Three of the quarter finals of the Senior Fours have now been played with Middleton Cup Team Manager Brian Taylor’s rink beating that of County President Alan Willer whilst Barney Wymer’s Caister foursome recovered from a 16-4 deficit to beat Wootton Park skipped by Vernon Hudson and Peter Boldero’s rink from Downham Market have a comfortable victory over last year’s winners from St. Lawrence skipped by Bob Allen. The remaining quarter final will be played on Monday at County Arts with one of the semi-finals at GW Staniforth and the other semi-final at either County Arts or Thorpe Rec on Tuesday. The majority of the County Championships quarter finals have now been played with the results as shown below. The semi- final & outstanding quarter final matches will be played during next week & early in the following week with the programme below. The County finals will be played on Saturday 28th July at County Arts BC with Sunday 29th July also set aside in the event of duplications. The finalists in the Junior Singles, 2 bowl Singles, Singles, Pairs, Triples & Fours along with the winners of the Junior Pairs & Senior Fours will represent Norfolk at the Bowls England National Championships to be held at Victoria Park, Royal Leamington Spa starting on 5th August. Ahead of next week’s Middleton Cup quarter final clash against Leicestershire, Norfolk entertained Hertfordshire at Wymondham Dell in their penultimate match in the Eastern Counties League. With a much changed team including many players striving for Middleton Cup recognition, Norfolk went down to an 11 shot defeat and gaining only four points. However with the Hertfordshire team including several of their Middleton Cup players this was still a creditable result for the County against a team who have now won all of their matches in the league and have clinched the league title with a match to spare. Norfolk cruised to the quarter final of the Middleton Cup when they beat local rivals Suffolk at County Arts by 141 shots to 91. With nearest rivals Northamptonshire having played their final group match earlier in the day and beating Huntingdonshire and taking 20 points, Norfolk went into their match knowing that 6 points, equivalent to three rink wins would give them top spot in the group & a quarter final place. A Norfolk win never seemed in doubt. After a tight start they lead by 6 shots at the 5 end mark and steadily extended this as the match progressed to win by 50 shots and taking 20 points in what was a fine win. Norfolk almost took the maximum 22 points with Peter Boldero’s rink only going down on the last end. All other rinks won with Wayne Willgress’s rink again in fine form maintaining their 100% record, against a rink including Suffolk Team Manager & International John Rednall. David Smith’s rink overcame that skipped by Mark Royal and there were also victories by the rinks skipped by Peter Wilkinson, George Tubby & Philip Barr. In the quarter final on Saturday 21st July Norfolk play Leicestershire at the neutral venue of Brampton Institute BC. Leicestershire took their quarter final place following a tied match against Essex but having won on four rinks, took top spot by the narrow margin of three points. For the quarter- final Norfolk have made one change to team with Ian Wones returning to the team in place of the unavailable Mervyn King. The Norfolk County championships have now reached the quarter final stage with most of these being played during the week commencing 9th July. The semi-finals will be played during the following week with the County finals at County Arts BC on Saturday 28th July. The programme for the quarter finals is as follows with all matches commencing at 6.30pm. In the Two bowl singles Aaron Johnson (Norfolk BC) has had to concede his quarter final tie against Michael Gooch (Mundford) so Michael Gooch progresses to the semi-final. The County team championships have also reached the semi-final stage. In the Bales Cup Norfolk BC are on course to retain the Club Championship following their quarter final victory over GW Staniforth. In the semi-final they will play Wymondham Dell who came through a tight quarter final against fellow Premier League team, Freethorpe. The other semi-final will be between County Arts & Upwell. In the quarter finals, in another all Premier league tie the Arts beat Downham Market whilst Upwell overcame Reepham Nomads. The semi-finals will be played on Friday 27th July at RG Carter Group BC with the final on the following Friday at Wymondham Dell. The quarter finals of the Jermy Cup have also been played with holders & winners for the last three years, County Arts, through to the semi-final following a one shot victory over Acle St Edmunds where they will play Freethorpe, who had a walk over, in the semi-final. RG Carter Group BC was also successful with a narrow 3 shot victory over Downham Market and will play Norfolk BC who comfortably overcame Shouldham. In the Lord Fermoy Cup there will be different winners this year as holders Norfolk BC ‘A’ were defeated in the quarter final by Wymondham Dell & in the semi-final the Dell will play Downham Market ‘B’ who beat Hunstanton. In the other quarter finals RG Carter Group BC beat Downham Market ‘A’ whilst Norfolk BC ‘B’ beat Norwich Union. The semi-finals will be played on Thursday 26th July with final on Thursday 2nd August. Norfolk won their latest match in the Eastern Counties League when they travelled to Fordham to play Cambridgeshire and came away with a well-earned victory, winning by 14 shots and taking 19 points with the rinks skipped by Gary Goodrum, Peter Boldero, Mark Riches & the Officers rink skipped by John George all returning winning cards. Next Saturday the County are back in Middleton Cup action when they entertain Suffolk at County Arts in the final group match. Norfolk is currently unbeaten and head the group with a fifteen point lead over Northamptonshire with Suffolk are a further five points behind. This point’s advantage puts Norfolk in a strong position but they require eight points to guarantee a quarter final place against either Essex or Leicestershire. Norfolk remain on course for a place in the Middleton Cup quarter finals following victory over Hertfordshire at Welwyn Garden City on Saturday. The County won by 134 shots to 110 taking 18 of the 22 points at stake and moving to the top of the table with 52 points, a lead of 15 points over second placed Northamptonshire. In their final match Norfolk entertain Suffolk, who slipped to their second defeat against Huntingdonshire, at County Arts on Saturday 7th July knowing that victory will guarantee their quarter final place. Even a defeat could still give them that place with their current points lead over their rivals but Norfolk will certainly be looking for their fourth successive victory to ensure this happens. For the match on Saturday Hertfordshire made several changes to the team that suffered a 22-0 whitewash to Suffolk in their previous game and although they held Norfolk over the first half of the match Norfolk then took charge taking an eleven shot lead at the 15 end stage and extending this over the closing stages. Captain Wayne Willgress’s rink once again led the way and was in in dominant form and with David Smith’s rink also winning by a large margin and backed up by further rink wins by the rinks skipped by Peter Wilkinson & Peter Boldero Norfolk ran out comfortable winners. Norfolk won their second successive match in the Middleton Cup on Saturday when they beat Northamptonshire at County Arts BC by six shots & took 16 points. Whilst Norfolk were always ahead they could never extend their lead beyond single figures and with George Tubby’s & Wayne Willgress’s rinks both winning by 14 shots and backed up by a win on the rink skipped Peter Boldero, Norfolk held on for a hard earned victory. Despite the defeat Northamptonshire remain top of the Group on 37 points from their 3 matches with Norfolk 3 points behind with a match in hand. Suffolk, who beat last year’s Group winners Hertfordshire on Saturday taking the maximum 22 points, are in 3rd place on 26 points. With the other two counties in group, Huntingdonshire & Hertfordshire both having lost 2 matches, group honours and a place in the quarter final rest between Norfolk, Suffolk & Northamptonshire with Norfolk’s final match against Suffolk on 7th July likely to be the pivotable match. However ahead of this Norfolk travel to Welwyn Garden City next Saturday to take on Hertfordshire where victory will put them in prime position ahead of the Suffolk match. With a break from Middleton Cup action this weekend Norfolk had a double header against Bedfordshire in the Eastern Counties League and in the National Inter County Two Fours Balcomb Trophy championship. It proved a disappointing weekend with the County suffering defeats in both matches. Having won their opening match in the Eastern Counties League Norfolk have now suffered successive defeats losing the match against Bedfordshire by 14 shots and securing 6 of the 22 points at stake. Norfolk were behind for most for most of the match but moved into a 3 shot lead at 15 ends but let the lead slip over the closing ends to lose by 112 shots to 126. Rink honours were shared three a apiece with the Norfolk wins coming on those skipped by Ian Wones, Bernie Perrett & James Segolo. In the Balcomb Trophy Norfolk’s poor run in this championship in recent years continued when at County Arts BC they lost by 48 shots to 42. David Smith’s rink earned a hard fought draw against Kevin Tift and Wayne Willgress’s rink went down by six shots to Jim Allen. Bedfordshire now qualify for the regional finals. Next Saturday Norfolk are back in Middleton Cup action when they entertain Northamptonshire at County Arts. In last weekend matches Northamptonshire played their second match when they travelled to Suffolk and came away with a nine shot victory & 16 points, a win which moves Northamptonshire to the top of the group with 31 points. Norfolk currently sit on 18 points from the one match played so the match has added significance for County, victory would keep them well in the hunt for the group honours but defeat would mean Northamptonshire moving further ahead. Norfolk began their Middleton Cup campaign on Saturday with a fine win by 17 shots against Huntingdonshire at Brampton Institute BC and by winning on four rinks took 18 of the 22 points at stake. With Wayne Willgress’s rink getting off to a great start Norfolk opened up a sixteen shot lead after 5 ends and this early lead proved crucial as although Norfolk maintained this lead at the halfway stage Huntingdonshire hit back to take a 5 shot lead at 15 ends. A strong finish over the closing ends saw Norfolk secure the victory, which Manager Brian Taylor described after the match as the County’s best performance for several years. The rink skipped by the recalled Peter Boldero beat Mike Robertson, who represented England in the recent Commonwealth Games, by 12 shots and David Smith making his first appearance as skip skipped his rink to a 9 shot victory over former international Tristan Morton. Wayne Willgress’s rink held on to win by 2 shots and George Tubby’s rink, who were always in the lead, won by 4 shots. There was however disappointment on the other 2 rinks with Philip Barr’s rink losing on the last end and Peter Wilkinson’s rink also going down. Not surprisingly Brian Taylor has announced an unchanged team for the next match at County Arts on Saturday 16th June against Northamptonshire, who in the other group match beat last year’s group winners Hertfordshire 13 points to 9. Norfolk have a break from Middleton Cup action next weekend but on Sunday 10th June they entertain Bedfordshire in the Balcomb Trophy National Two rink championship. The match will be held at County Arts BC with an 11.00am start and the following team has been selected. The winners go forward to the regional finals to be held at Parkway BC Peterborough on Sunday 24 June. The Bowls England Junior international trials were held last weekend at Victoria Park Leamington Spa and following this the team to play in the British Isles International Championships was selected. Dan Seabourne of Freethorpe has retained his place in the team whilst Norfolk BC’s Tom Segolo has been named as one of the reserves. The Series will be held at Belmont BC in Belfast on 8th/9th September. Norfolk suffered double disappointment at the weekend with defeats to Essex in both the Eastern Counties League & the White Rose Trophy. On Saturday Norfolk travelled to Westcliff-on- Sea on Saturday for their third match in the Eastern Counties League but lost their 100% records when they sent down by 109 shots to 137 taking 6 of the 22 points at stake. The rinks skipped by Andy Siely & Gary Goodrum recorded wins along with the Officers rink skipped by Barney Wymer, but the 3 others rinks had heavy defeats. Whilst Norfolk started the match well leading by 9 shots at 5 ends, Essex took control from that point taking the lead at 10 ends, a lead they built steadily over the second half of match to secure a comfortable victory. On Sunday, the White Rose Trophy was a closer affair with match in the balance until the closing ends but it was Essex who finally came out on top winning by 5 shots to progress to the regional finals. Attention now turns to the Middleton Cup which starts next Saturday when Norfolk meet Huntingdonshire at Brampton Institute BC. The County will be looking to put a couple of disappointing years behind them where they have failed to qualify from the group stages with a good run in the competition in which will be Brian Taylor’s last year as team manager. Norfolk’s county programme continues next Saturday with their second match in the Eastern Counties League when they travel to Essex County BC in Westcliff-on-Sea to take on reigning champions Essex. Having won their opening match against Huntingdonshire the county will be looking for a further victory ahead of their opening fixture in the Middleton Cup next weekend. Norfolk opened their 2018 season on Saturday with victory in the Eastern Counties League over Huntingdonshire at County Arts BC by 127 shots to 114 and taking 16 of the 22 points at stake. Having taken an early lead of 5 shots at the 5 end stage Norfolk surged into a 26 shot lead at the halfway stage and although Huntingdon hit back over the second half of match Norfolk held on for a comfortable victory which owed much to Peter Wilkinson’s rink winning 29-12 and backed up by other wins by the rinks skipped by Philip Barr & George Tubby. The County now have a break until 26th May when they travel to Westcliff-on-Sea to take on Essex and following this match the team for opening Middleton Cup match on 2nd June will be selected. The outdoor bowling season has now started for many clubs and the County open their programme with an Eastern Counties League clash with Huntingdonshire at County Arts BC on Saturday 5th May at 10.30am. This is then followed by another league encounter with Essex at Essex County BC on Saturday 26th May. In both these matches, Manager Brian Taylor will be looking at players for the Middleton Cup campaign which gets underway in June. Taylor has confirmed that he will stand down as Middleton Cup Manager at the end of the season, a position he has held since 2006. Having managed the team to Middleton Cup successes in 2006 & 2012 as well as runners up in 2008 & 2014 plus three Eastern Counties League titles he will be looking to end his reign on a high note. The Hansells League programme gets under way on 2nd May with Norfolk BC looking to defend the Premier League title they have won for the past 6 years. They are joined in the Premier League this year by their ‘B’ team who took the WP Baker Cup zone play off title last year. The league is the grass roots of bowls in the County with 74 teams competing in the Premier League & 9 regional zones and all teams will be striving for success over the summer months. The regional zones culminate with play offs for the WP Baker Cup & a place in the Premier League & the Hansells Cup in August & September. As advised at the Club’s Meeting on 15th April, Brian Taylor is to stand down as Middleton Cup Team Manager at the end of the 2018 season and Jake Willgress has stood down as Junior Team Manager. Brian has been appointed to take responsibility for Junior Team matters for the 2018 season. Therefore both these positions will become vacant from the end of the season and we are now putting in place the process for appointing new Managers in readiness for the 2019 season. At this stage we are seeking expressions of interest and once all have been received the process will move on to the next stage. I am happy to provide more information on request or to have an informal discussion with anyone who is interested. Congratulations to Dan Seabourne (Freethorpe) & James & Tom Segolo (Norfolk BC) on their selections & also to Jack Larter (County Arts) who has been selected as a reserve. The HANSELLS LEAGUE ANNUAL MEETING will take place on SUNDAY 10th DECEMBER 2017 immediately following the MEN’S AGM at the COUNTY ARTS BOWLS CLUB. The MEN’S ANNUAL MEETING of the NORFOLK BOWLS ASSOCIATION will take place on SUNDAY 10th DECEMBER 2017 at 9.30am at the COUNTY ARTS BOWLS CLUB. Congratulations to Downham Market’s Harry Cater on being selected as one of the 16 players to attend the Bowls England Academy weekend on Saturday 26th and Sunday 27th May 2018 following the trials held at Victoria Park Leamington Spa on Sunday 24th September. The Academy Weekend, which is supported by Junior International Team Managers and International Selectors, is designed to improve performance through a series of practical and theoretical sessions. Kent’s Imogen Jenner became the first Academy attendee to ‘graduate’ to full international honours when she was named in the Women’s Team for the 2018 British Isles Series. During the weekend, selected players will have the opportunity to participate in both theoretical and practical sessions, all of which are designed to support them on their pathway towards international recognition. Sessions will be led by personnel specially invited by Bowls England, and overseen by members of the Men’s and Women’s International Selection Committees. There was double delight for Norfolk BC’s Tom Segolo on Saturday when he lifted both the Eastern Counties Bowling Association Junior & four wood Singles Championship to go with the County titles he won in July. In the Junior Singles semi-final he overcame Glenn Williams from Hertfordshire, who in August was crowned Bowls England National Champion of Champions, 21 -12 and then in the final beat Essex’s Ryan Mann 21-19. The semi-final of the prestigious Singles saw Segolo beat Steve Gunnell from Essex 21-12 before meeting the experienced Jerry Rumball from Hertfordshire in the final. Segolo took a commanding leading, one that he never relinquished to take the title with a 21-16 scoreline. This capped a great week for Segolo having made his England Junior international debut the previous weekend in the British Isle Championships held in Llandrindod Wells. In the Fours Championships Brian Taylor’s County Arts reached the final with a single shot semi-final victory over Essex. The final against Cambridgeshire ended prematurely when Brian Taylor suffered a leg injury and was unable to continue so the match was conceded. There was further disappointment for the County in the Officers Pairs where Alan Willer & John Ottaway lost on an extra end to Essex. The Eastern Counties League title was also confirmed at the weekend with Essex taking the title as a result of Huntingdonshire conceding their final against Essex. The points allocated meant Essex won the title from Hertfordshire & Norfolk who both finished 9 points adrift. The was more international recognition at Clevedon BC in Somerset at the weekend when County Art’s Jack Larter made his England Under 18 debut in a 2 day test match against Wales, which England won 17-7, with Larter being successful in in both his matches. The Two wood Singles championship is played off on the day and Matt Flatman from Norfolk BC will be taking on the two wood champions from the other six Eastern Counties. The early rounds of the two wood singles & the 4 wood singles semi- finals will be held at Bottisham BC, with the two wood event commencing at 9.35am & the four wood singles at 10.30am. The other competitions will be held at Cambridge & County BC with the semi- finals at 9.30am followed by the finals of all competitions at 2.00pm. In the Eastern Counties League Norfolk went into their final match against Suffolk at Marlborough BC knowing that a victory and 18 points would definitely secure the league title over current leaders Essex. However Norfolk went down to a 10 shot defeat taking only 8 points. However with the points allocation from the un-played match between Essex and Huntingdonshire still to be decided the actual destination of the league title is unclear and has still to be resolved. Bowls England have announced their selection for their Under 18 Youth Academy to be held on Sunday 24th September 2017 at Victoria Park, Archery Road, Royal Leamington Spa. Those invited to attend are shown below and include HARRY CATER & NICOLE MOSELEY from Norfolk and many congratulations to Harry & Nicole on their selection. Norfolk BC’s run of success continued on Sunday when they lifted the Hansells League WP Baker Cup at Thorpe Rec BC with wins over Norwich Union & Mundford. The victory means they are promoted to the Premier League next season in place of Martham. In the morning semi-final they found themselves behind against Norwich Union for first part of the match but a late surge on the rink skipped by Charlie Boon and comfortable victories by Chris Wells & Chris Willgress saw them progress to the final with a victory margin of 22 shots. The other semi-final between Mundford, who reached the semi-final with a 100% record in their zone matches & RG Carters ‘A’ was a topsy turvy affair with the lead changing hands several times and match result hinged on the final end of the match between Bill Gathercole & John Hunter. Mundford went into the final end with a two shot lead but RG Carters could only manage a single so Mundford got home by one shot. Mundford went into the final looking to avenge defeat in last year’s final but it was Norfolk BC who prevailed. Norfolk BC looked to be cruising to victory but Mundford hit back over the closing ends to move into the lead but Norfolk BC held their nerve and a late surge saw them triumph by 11 shots with captain Chris Wells skipping his rink to a 13 shot victory. There was some consolation for Norfolk BC who followed up their win of the Hansells County Premier League title by winning the Lord Fermoy Cup double fours by beating Freethorpe by 47 shots to 31. Norfolk BC won on both rinks with their home rink skipped by Wayne Willgress winning by 14 shots and being backed up at Freethorpe by the rink skipped by Mark Riches winning by 2 shots. The final zonal matches in the Hansells County League were played last week and with Norfolk BC having already secured the Premier title, for the sixth successive year, attention was focused on the regional zones. The Zone 1 winners play off for the WP Baker Cup and a place in next year’s Premier League. RG Carter ‘A’ took the North 1 title on shots difference from North Walsham ‘A’ and will be joined in the play offs by Mundford who had a 100% record in Central 1, Hunstanton ‘A’, Norfolk BC ‘B’ & Norwich Union. The preliminary round match between Hunstanton & Norfolk BC will be played on Wednesday 9th August at GW Staniforth BC and will then be followed by semi-finals & final at Thorpe Rec BC on Sunday 13th August. The semi-final draw sees the winner of the Hunstanton/Norfolk BC tie play Norwich Union whilst Mundford meet RG Carters. The funeral service for Peter Bird will be held at Cromer Crematorium, Holt Road, Cromer, NR27 9JJ on Wednesday 23rd August at 2.00pm. It is with sadness that I have to report the sudden death of Peter Bird who served as County Secretary from 2006 to 2014. Peter was a great servant to Norfolk bowls and was particularly instrumental in the unification of the Men’s & Ladies sections to form what is now the Norfolk Bowls Association. Norfolk kept alive their hopes of winning the Eastern Counties League with victory over Bedfordshire at RG Carters BC on Saturday. Norfolk moved to the top of the table with one match left to play which is against Suffolk at Marlborough BC on Saturday 9th September. Their nearest rivals are Essex who are 5 points behind and they too have one match to play also against Suffolk on Saturday 5th August. Suffolk could also feature but it looks likely that victory in their final match will see Norfolk take the title. In the match against Bedfordshire there were big wins for rinks kipped by Chris Rowe & Peter Wilkinson. With Brian Taylor’s rink also winning and Bedfordshire failing to field a rink Norfolk took 18 points in a 128-85 victory. The first club silverware of the season was won on Sunday by County Arts when they won the Jermy Cup. For the Arts it was the third year in succession that they have lifted the trophy. In the semi-final County Arts beat Connaught by four shots and in the final the Arts overcame Downham Market by the same margin. The final of the Bales Cup Club Championship will be between County Arts & the newly crowned Premier League Champions Norfolk BC. In the semi-finals County Arts overcame Wymondham Dell, thanks mainly to a big win by Philip Barr’s rink whilst Norfolk BC beat fellow Premier League team Freethorpe. The final is at Wymondham Dell on Friday 4th August at 6.00pm. Norfolk BC & Freethorpe meet again in the final of the Lord Fermoy Cup Two Fours Championship which is to be played on Thursday 3rd August. In the semi- finals both Norfolk BC & Freethorpe had comfortable victories over Wymondham Dell & Cawston respectively. With the Norfolk County Championship finals having been played last weekend the final area rounds in the Bowls England National Competitions have taken centre stage. In the Senior Pairs, Alan Benson-Nutt & Barney Wymer of Caister overcame the experienced County Arts pairing of Peter Wilkinson & Peter Barr to qualify for the National finals whilst in the Senior Singles brothers Chris & David Willgress met each other and it was Chris who came out on top winning 21-14. A meeting of Clubs has been arranged for 10.00am on Sunday 17th September 2017 at Wymondham Dell BC. This is a follow up to the previous meetings, the last of which was held in April and is for the County Management Committee to provide information relevant to clubs & its members and for Clubs to raise any issues & concerns that they may have. The meeting will to be informal affair and attendance is open to representatives of all Clubs and details have been sent to Club Secretaries. An Agenda will be issued in due course. I am delighted to announce that John Mason of County Arts has been appointed Men’s Junior Vice President and I am sure you will join me in congratulating John on his appointment. Host club Norfolk BC dominated the Norfolk Bowls Association Men’s County finals on Saturday with Tom Segolo the star of the show taking the prestigious Singles title together with the Junior Singles and with his twin brother James, the Junior Pairs. In the Singles he met Acle’s Andy Siely and the match was evenly poised through the early ends but Segolo took control as the match went on and ran out the winner by 21 shots to 14. The Junior Singles was a different matter with Luke Preston from Northwold seemingly in charge and leading 19 shots to 15 but Segolo then scored a maximum 4 shots followed by a 2 to take the title. By lifting both the Junior Singles and Singles in the same season, Segolo joins Wayne Willgress, Stephen Winter & Mervyn King in achieving this feat. The third title came in the Junior Pairs, which is in its inaugural season, with the Segolo twins overcoming the Diss/Acle combination of Aaron Stimpson & Dan Mills, winning 16-12. Norfolk BC also lifted the 2 wood singles, Pairs & Triples titles. Matt Flatman took his first County title winning the 2 wood singles by beating Swaffham Town’s Colin Scott 16-9. In the Pairs John Tufts & Wayne Willgress looked to be heading for defeat against Dan Seabourne & George Tubby of Freethorpe but a strong finish from the Norfolk BC pair saw them get home by 22 shots to 18 to regain the title they won in 2014 & 2015. Richard Summers trio lifted the Triples crown with a 17-12 victory over Downham Market’s Peter Chestney. County Arts, skipped by Philip Barr took the Fours title with a 27-15 victory over John Ottaway’s Wymondham Dell quartet whilst in the Senior Fours, in an all west Norfolk affair, Bob Allen’s four from St Lawrence proved too strong for Upwell’s Nigel Carter winning 22-17. All finalists now go forward to represent the County in the Bowls England National Championships at Victoria Park Royal Leamington Spa in August except for the Junior Pairs & Senior Fours where the winners only go forward. In addition the winners of the Junior Singles, Singles, Pairs, Triples & Fours also go forward to represent the County in the Eastern Counties Bowling Association championships. The finals of the Norfolk Bowls Association Men’s County Championships take place at Norfolk BC on Saturday 22nd July. Tom Segolo of the host club features in three finals, the Singles where he meets Andy Siely from Acle St Edmunds, with both looking to lift the title for the first time together with the Junior Singles & Junior Pairs where he is partnered by his twin brother James. Luke Preston of Northwold is in his first county final in the Junior singles whilst in the Junior Pairs the Segolo twins meet the Diss/Acle combination of Aaron Stimpson & Dan Mills. Norfolk BC are also in the final of the two wood singles where Matt Flatman takes on Colin Scott from Swaffham Town and the Pairs, where last year’s beaten finalists John Tufts & Wayne Willgress will look to go one better against Freethorpe’s Dan Seabourne & George Tubby and regain the title they won in both 2014 and 2015. The triples include Norfolk BC again skipped by Rick Summers who play Downham Market skipped by Peter Chestney whilst the fours features some of the County’s more senior players with rinks from County Arts & Wymondham Dell. The Senior Fours championship sees rinks from the west of the County feature with St Lawrence skipped by Bob Allen and Upwell by Nigel Carter aiming to lift the title in its inaugural year. The finalists go on to represent Norfolk in the 2017 Bowls England National Championships at Royal Leamington Spa in the August except for the Junior Pairs & Senior Fours where the winners only qualify. In their latest match in the Eastern Counties League Norfolk travelled to Garston BC to play Hertfordshire and came away with a narrow victory by 102 shots to 97 taking 18 of the 22 points at stake. The victory owed much to the 27-12 win by Mark Riches rink and was backed up by other rink wins by George Tubby, Brian Taylor & the Officers rink skipped by John George. Essex still head the table but the win keeps Norfolk in with a chance of the title with two matches still to play. The semi-finals of the County Championships have been played with Norfolk BC dominating proceedings. Tom Segolo has reached three finals, the prestigious four wood singles along with the Junior Singles & Junior Pairs . In the fours, the 2015 champions, County Arts, skipped by Philip Barr are in the final once again by beating Wootton Park’s Vernon Hudson where they will meet Wymondham Dell, skipped by John Ottaway who secured a narrow victory over another County Arts rink skipped by Peter Wilkinson. The Norfolk BC’s trio skipped by Rick Summers proved too strong for the Diss triple skipped by Kevin Baker with a comfortable victory. There will be no all Norfolk BC final as in the other semi-final Peter Chestney’s Downham Market triple beat Mark Riches by a single shot. In the Junior Singles, defending champion Dan Seabourne was comfortably beaten by Tom Segolo of Norfolk BC. Tom, along with his twin brother, James was also successful in the Junior Pairs beating Harry Cater & Jack Wells (Downham Market) on an extra end. In the Junior Pairs the Segolo twins will meet the Diss/Acle combination of Aaron Stimpson & Dan Mills who overcame Hunstanton’s Rhys Morgan & Dan Cawthorne. Luke Preston of Northwold had a fine win over James Segolo to reach his first county final in the Junior Singles. Both four wood singles semi-finals were one sided affairs with Andy Siely of Acle beating Adrian Folker of Wootton Park & Tom Segolo overcoming Downham Market’s Peter Chestney. With neither Siely nor Segolo having previously won the title there will be a new name on the trophy this year. Nigel Carter’s Upwell four are in the final of the new Senior Fours championship having beaten Peter Boldero from Downham Market and will meet the winners of the other semi-final between Bob Allen of St. Lawrence & John Ottaway of Wymondham Dell which has still to be played. In the two wood singles Matt Flatman of Norfolk BC was too strong for Gissing’s David Wood whilst Colin Scott of Swaffham Town had a narrow victory over Martham’s Gino Gallent. The finals will be played on Saturday 22nd July at Norfolk BC but due to some players being in more than one final, the finals are likely to extend into Sunday 23rd. The programme is now being put together and will be published shortly. 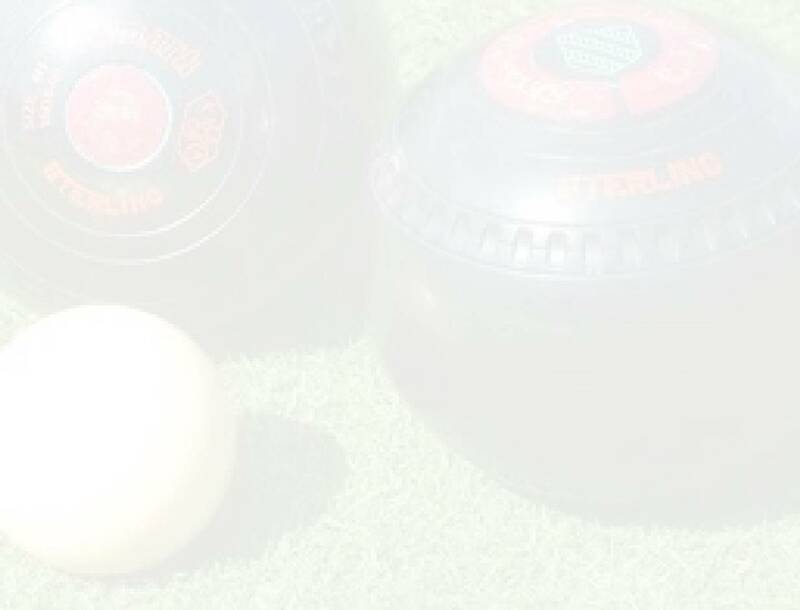 Due to neither county being able to progress to the quarter final it has been agreed by both counties and with the approval of Bowls England that the match that was due to be played at the Borough of Eye BC will not now take place. Norfolk’s hopes in the Middleton Cup ended in dramatic fashion at County Arts on Saturday. Needing to win to remain in with a chance of reaching the quarter finals they went down to Hertfordshire by a single shot in a keenly contested match and Hertfordshire completed their programme with a 100% record and reach the quarter finals for the first time in 20 years. Norfolk started the match well opening a narrow lead which they maintained through most of the match but could never pull away from Hertfordshire and as the match reached its conclusion Norfolk where two shots ahead with two ends to be played but a loss of six shots on the penultimate end meant that on the final end Norfolk required five shots for victory. There was a chance to achieve this but it was to no avail and a score of three shots on the end meant Norfolk went down by one shot. As for the points Norfolk took only four points from rink wins by George Tubby & Sam King. There was further disappointment for the county on Sunday when they lost heavily in the regional semi-final of the Balcomb Trophy to Essex, who subsequently beat holders Leicestershire in the final to qualify for the National Championship semi-finals in August. The quarter final ties in the Norfolk County Championships have now been played with the victors one step closer to a county title and representing Norfolk in the Bowls England National Championships. The finalists in all championships, excluding the Senior Fours & Junior Fours represent Norfolk in the Bowls England National Championships at Royal Leamington Spa in August. In the Senior Fours & Junior Pairs it is only the winners who go through to the National Championships. In the fours County Arts have two semi-finalists one being the 2015 champions, skipped by Philip Barr and they are kept apart in the draw and are joined by rinks from Wymondham Dell & Wootton Park. The triples sees two from Norfolk BC through to the semi-finals with rinks skipped by Richard Summers & Mark Riches both getting through their quarter finals with Summers beating last year’s finalists Downham Market skipped by Peter Boldero & Riches overcoming the North Walsham trio skipped by Trevor Webb. The semi-finals of the pairs sees a repeat of last year’s final with defending champions Barry Flatt & Gary Goodrum of Wymondham Dell through to meet Norfolk BC’s John Tufts & Wayne Willgress. The other semi-final is between father & son Matthew & Colin Warnes of Fakenham Town & Freethorpe’s Dan Seabourne & George Tubby. There will be a new name on the four wood singles trophy with all four semi-finalists having never lifted the title before. In the quarter finals Peter Chestney beat County Senior Vice President Alan Willer and there were also victories for Tom Segolo (Norfolk BC), Adrian Folker (Wootton Park) & Andy Siely (Acle St Edmunds). Norfolk’s hopes of reaching the quarter finals of the Middleton Cup suffered a blow on Saturday when they lost to Northamptonshire at Kingsthorpe by 126 shots to 112 but by winning on four rinks Norfolk still took 8 points. Norfolk’s next opponents are Hertfordshire at County Arts BC next Saturday and with Hertfordshire recording their third successive win on Saturday anything but victory for Norfolk will see their quarter final hopes extinguished. The match against Northampton was evenly poised at the five ends stage with the scores level but for Norfolk the damage was done over the next 5 ends with Northamptonshire taking a 22 shot lead, a lead they extended to 30 at 15 ends and although Norfolk did recover over the closing ends it was not enough. Norfolk’s next match is against Hertfordshire on Saturday 24th June at County Arts BC at 2.00pm and manager Brian Taylor has made one change with John Ottaway, who was unavailable for the last match, returning to the team in place of Peter Boldero. The County Championships have now reached the quarter finals which will be staged from Monday 19th June. It has not been a good year for the defending champions with the winners of the two wood Singles, four wood Singles, Triples & Fours all losing in the early rounds. The only champions in with a chance of defending their titles are Dan Seabourne (Freethorpe) in the Junior Singles & Barry Flatt & Garry Goodrum (Wymondham Dell) in the Pairs. In the blue riband 4 wood Singles there will be a new name on the Championship trophy with none of the quarter finalists having previously lifted the title. Last weekend Norfolk had a break from Middleton Cup action with the other four counties in the group playing. In these matches Hertfordshire maintained the 100% record by beating Huntingdonshire 117-98, taking 17 points whilst Suffolk opened their campaign by beating Northamptonshire 133-101 and taking 18 points. Norfolk are second in the league table and take on Northamptonshire, who have lost both their opening matches, at Kingsthorpe BC next Saturday. It is with regret that we have to announce the death George Butler, President of the Association in 1990. The funeral service will be held at St Faiths Crematorium, 75 Manor Road Horsham St. Faith Norwich NR10 3LF on Friday 23rd June 2017 at 12.30pm with the wake afterwards at the County Arts Club BC. Norfolk began their Middleton Cup campaign at County Arts BC on Saturday with a convincing win over Huntingdonshire by 49 shots and taking 19 of the 22 points at stake. The result never looked in doubt after a strong start from all rinks over the opening ends with Norfolk taking a 15 shot lead after 5 ends, a lead that was extended to 24 at the halfway stage. There was to be no comeback from the Huntingdonshire team, which showed a number a changes from last year and Norfolk ran out winners by 136 shots to 87. Captain, Wayne Willgress’s rink led the way with a big victory over former international Tristan Morton by 39-5 and the rink skipped by the returning Mervyn King won by 11 shots. There were also wins by Philip Barr’s rink and a final end win by Sam King’s rink. Peter Boldero’s rink suffered a last end defeat and George Tubby’s secured a hard earned draw. In the other group match played Hertfordshire beat Northamptonshire by 4 shots taking 14 points with Northamptonshire 8 points. For Norfolk’s next match against Northamptonshire at Kingsthorpe BC on Saturday 17th June the team sees one change with Max Harrison replacing the unavailable John Ottaway. Following the Junior International Trial held at Victoria Park, Royal Leamington Spa, Bowls England have announced the team to represent England in the British Isles Junior International Series to be held at Llandrindod Wells on 9th/10th September 2017. Freethorpe BC’s Dan Seabourne has retained his place in the team that lifted the Championship in Scotland last year with Tom Segolo of Norfolk BC named as travelling reserve. Bowls England also held their Under 18 Academy trials with Aaron Johnson (Norfolk BC) & Jack Larter (County Arts BC) taking part. The announcement of the selected mixed England to play Wales in a Test match at Clevedon BC in September is expected shortly. Following the Men’s Junior International Trial held on Monday Bowls England have announced the team to represent them in the British Isles Junior International Series to be held at Llandrindod Wells BC Wales on Saturday 9th & Sunday 10th September 2017. Norfolk continued their preparation for the Middleton Cup with victory over Essex at in the Eastern Counties League at County Arts on Saturday by 119 shots to 111, taking 16 of the 22 points at stake. The victory owed much to a convincing win by Wayne Willgress’s rink who overcame Ray Bone’s rink 31-7 and this was backed up by wins by the rinks skipped by Peter Boldero & Philip Barr. These victories more than covered the defeats on the rinks skipped by Mark Riches & George Tubby and the Officer’s rink by John George and the win leaves Norfolk in 6th place but with games in hand on their opponents. Norfolk’s build up to the Middleton Cup continues on Saturday when they entertain Essex in the Eastern Counties League. Having lost their opening match away to Huntingdonshire the County will be looking to get back to winning ways at County Arts where the match commences at 10.30am with the following team selected. Following this match the team to face Huntingdonshire in the opening Middleton Cup match on Saturday 3rd June at County Arts BC will be selected. Norfolk’s involvement in the National Under 25 double rink championship for the White Rose Trophy ended when they lost to Cambridgeshire at Chesterton BC. The two Norfolk rinks skipped by Dan Seabourne of Freethorpe and James Segolo of Norfolk BC started well but then fell away and both rinks subsequently lost with Norfolk going down by 47 shots to 30. The funeral of Stan Allcock will be held at Mintlyn Crematorium, Lynn Road, Bawsey, Kings Lynn PE32 1HB on Thursday 25th May at 12.15pm. Norfolk’s season got underway with defeat to Huntingdonshire at Parkway BC in Peterborough in their opening match in the Eastern Counties League by 19 shots, with Norfolk winning on only 2 rinks and taking just 4 of the 22 points at stake. The successful rinks were those skipped by Mervyn King, returning to the Norfolk team after several years absence and by his son Sam. There were defeats on the rinks skipped by Philip Barr, Peter Boldero and Andy Siely and also by the executive rink skipped by John George. As for the match the damage was done for Norfolk over the early ends with Huntingdonshire opening a 14 shot lead after 5 ends and it was a lead they never relinquished and extended this throughout the match to run out comfortable winners by 133 shots to 103. Norfolk’s next match in the Eastern Counties League is against Essex at County Arts BC on Saturday 27th May and after this the Middleton Cup campaign gets underway where the County will be hoping to improve on disappointing results in the last two years which saw them fail to get through the group stages. The opening match is against Huntingdonshire on Saturday 3rd June at County Arts with further matches against Northamptonshire on 17th June at Kingsthorpe BC, Hertfordshire on 24th June at County Arts before the final group match on 8th July against Suffolk at Borough of Eye BC. It is with great sadness that we have to report of death of Stan Allcock. Stan served the County with great distinction over many years serving as President in 2002 and as Treasurer from 1998 to 2016. He will be sorely missed by his many friends in Norfolk and across the wider bowling community. At the NBA AGM held on 12th March 2017 the following business was conducted. The proposed changes to the “Objectives” in the Constitution were passed. The revised Constitution has been posted to the website. John George (Wymondham Dell BC) was appointed County Administrator for a period of 4 years. Dennis Cousins (Cromer Suffield Park BC) was appointed Executive Officer/Chairperson for a period of 3 years. Following the successful meetings held for the first time last year a further meeting with Clubs has been arranged on Sunday 2nd April 2017. As with the previous meetings this is for your Management Committee to provide you with information relevant to your Club & members prior to the start of the forthcoming season and for Clubs to raise any issues & concerns that they may have. The meeting will to be informal affair and attendance is open to representatives of all Clubs. You will see there has been a change of venue for this meeting. I have taken on board comments that were expressed at previous meetings that we should endeavour to hold meetings at other venues around the County and hence the Old Hall Leisure Centre will host this meeting in their function room in the Indoor Bowls Club. I appreciate that some Clubs will have further distances to travel but the venue will make this more accessible to our Clubs in the west of the County. The feedback from previous meetings was good and I hope this meeting will also be of benefit and be well received and supported. The MEN’S ANNUAL MEETING of the NORFOLK BOWLS ASSOCIATION will take place on SUNDAY 11th DECEMBER 2016 at 9.30am at the COUNTY ARTS BOWLS CLUB. To be held at County Arts BC on 18th September 2016 at 10.00am. This is a follow up to the Meeting held in April and is for your Management Committee to provide you with information relevant to your clubs & members following the current season and for Clubs to raise any issues & concerns that they may have. The meeting will to be an informal affair and attendance is open to representatives of all Clubs. The feedback from the April Meeting was good and I hope this follow up meeting will also be of benefit and well received and supported.